Our library has an automated check out station, so why do customers insist I check out their books instead of waiting to use the machine? Besides the fact that people hate waiting, the perception of the library is a huge factor here. Unlike other organizations, we constantly struggle with philosophical questions like "who are we" and "what is our purpose." Like most departments of the government, libraries are full of policies and guidelines but we also have traits in common with retail stores which put the focus on customer satisfaction. Not sure where I'm going with this? Allow me to continue. You can argue until you are blue in the face about how people need libraries. I'm not one to argue with you, but the people who vote on raising taxes might. We have to face it, people don't need libraries like they need the police department or DMV. In the eyes of many, libraries are a luxury, not a necessity. Therefore, unlike the departments which are governed by rules and regulations and can afford to piss people off, we are not afforded the same luxury. It's for this reason we look to service models of retail businesses for inspiration. This question from a staff member puzzled me, to say the least. Why should it even matter if the customer doesn't want to use the automated machine? And then I realized that it came down to rules. Somewhere, at some time, someone said "everyone must use the automated machine to check out materials" and that statement became law. Pretend that you are standing in line at the Tag Office and there are several open windows but one of the employees is not taking anyone. 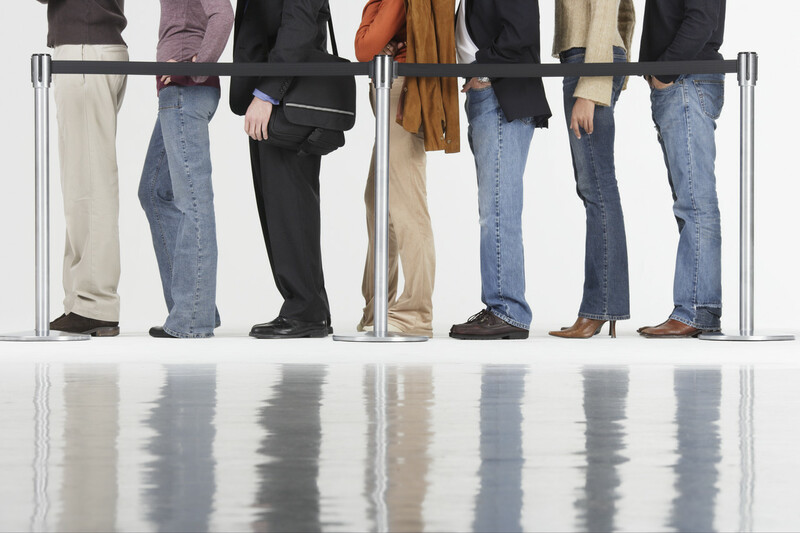 Chances are, you won't say anything but you might be a little upset over the amount of time it's taking to get through the line. But your anger doesn't matter because it's the Tag Office, and we have to go there every year to keep our cars legal. Take the same scenario and apply it to a grocery store and you get a different outcome. Chances are you will ask if a register is open and, if it's not and the lines are long, then the chances are even greater that you will not return to that store. It's a "need" versus "want" spectrum and libraries are caught in between. Considering that people choose to go to the library (as opposed to being forced to go to the tag office,) puts us more on the "want" side of the spectrum. The customers referred to in the question above have much more in common with the customers in the grocery store scenario. And when we factor in the fact that automated services are involved, I think you will definitely see the parallels. If we look at service models of other companies who utilize automated machines (Walmart, Kroger, USPS) one will notice the check-out choices. For a customer who sees more similarity between his library and grocery store than the tag office, it is safe to assume that this customer just wants quality customer service. If choice is the norm for most individuals, then it's reasonable for them to expect the same choice at their library. After all, it is our nature to look for the fastest route to get where we want to be; in grocery stores we look for the smallest line, in traffic we look for the fastest lane, and in libraries we carry that same mentality. For some, it's not even about waiting in line. There could be a myriad of reasons why this particular customer sought out the staff member for help. In this, I think libraries and the post office have a lot in common. We are both appendages of bigger organizations (local government, universities, hospitals, etc) and we toe the line of bureaucracy and customer service. We also have customers that use us infrequently. According to ALA, libraries average about 5.3 visits per capita. That means most customers are coming in every couple of months. I would imagine that visits to the post office are quite similar to these numbers. When I walk into the post office, I always feel a little lost and I can imagine that is how a majority of library customers feel as well. What it boils down to is this: customers are not at the library like you and I are at the library. We expect them to know how to use our non-intuitive services or at least attempt to figure it out. We may get Customer Service Fatigue from the repetition of explanation after explanation, but you save yourself more time in the end by spending the extra time with the customer up front. Every time I have to repeat the same instructions to a customer regarding their print job I just think about the post office; I know I can use the automated machine to mail a package but, sometimes, it's just easier to ask for help because nobody knows the procedures better than the staff. To conclude the answer to this question, either the customers don't want to wait in line or they just need help. But in the end, it shouldn't matter why. The only thing that matters is that you help them complete the transaction and they leave satisfied.